Question 1: I've recorded a very large HD video which is about 30GB after editing in Final Cut Pro. I want to upload it to YouTube. When I compressed in 1280X720, the file was still very big and took ages to upload. Answer: The upload speed is dependent on your video file size, except for internet bandwidth and upload traffic. it's recommended to rely on a YouTube video converter to make your video smaller in order to have YouTube uploads faster. Question 2: "I recently uploaded a GoPro video on YouTube, but the video looks terrible and pixely to me even in 1080p. I'm wondering if YouTube's compression ruins my video, because I found a 1.05Gb file size reduction when I received from the download." Answer: Unloading a large-sized video might go awfully awry. This is because YouTube downscales your video heavily to a lower bitrate footage when uploading video, in order to fast stream video. That's why the video size is significantly smaller. However, this is achieved at the cost of drastic quality ruin. The video sometimes look like a trash. So you'd better compress video based on YouTube's recommended upload encoding settings. Have you ever spent hours reducing video for YouTube upload but end with terrible quality? Time to say goodbye to bad YouTube video size reduction but hello to HD uploads. This guide offers useful video shrinking tips for YouTube upload and gives tutorial on how to compress video for YouTube in smaller size without losing quality. MacX Video Converter Pro overshadows its rivals with matchless video processing speed, powered by Intel QSV/Nvida CUDA/NVENC HW acceleration. Reduce videos with proper bitrate, frame rate and codec optimized for YouTube uploads without even tweaking a parameter. Before you start to compress videos for YouTube, you may wonder what are the best YouTube video compression settings? Which file format can guarantee the highest video quality while being accepted by YouTube? To what extent should you resize video for YouTube upload limits? A basic understanding of the requirements on YouTube uploads will help to find the optimal balance point. Be sure the original source is good enough. You cannot expect miracles from bad video source. Since each video transcoding does reduce quality to some degree, even though you might enhance the bitrate that is closely related to quality. 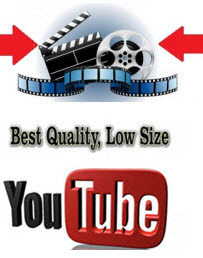 On the list of YouTube supported video formats there are MOV, MP4, AVI, WMV, 3GP, FLV, MPEG, MKV, SWF. Any videos, from the video you just shot with your iPhone 4K camera, to your latest HD video production, can be uploaded to YouTube, however, you're suggested to compress video for YouTube in MP4 that features good size-quality tradeoff and is widely acceptable by media players and mobile devices. According to YouTube, the best video codec is H.264. Despite the next standard HEVC halves the file size while maintaining video quality even higher than H.264, Google doesn't make any plan to add HEVC into its support list. So we still recommend you to compress video in H.264 for better YouTube upload. For a high-quality uploading, upping the bitrate to the highest level doesn't necessary mean you will get the highest possible quality, which instead gives rise to dramatic file size rising. Don't rely on heavy reduction because this will have the quality degrade significantly. Mostly, for 1080p video, the bitrate is suggested to cut down to 8Mbps, which is available to stream on most connections and is the approximate bitrate YouTube uses, especially for a relatively lower resolution. Be sure to use variable bitrate to make the video shrinking more efficient in such a way to resize YouTube videos in smaller size and reduce the bandwidth usage. Frankly, we suggest you compress video resolution to 1080p if possible. This is because video in 720p will be generated to a lower resolution that is bad for viewing, while 4k video will accordingly give rise to bitrate that will bring about bigger file size and makes youtube uploading slower. Whatever resolution you choose, make sure it's in accordance with the 16:9 aspect ratio players. For SD 16:9 widescreen video use 854x480, and for HD video use either 1280x720 or 1920x1080. And 4k 3840x2160 video is also accepted. Keep the frame rate unchanged if necessary when you resize video since YouTube also suggests you to do the same thing. Any reduction of frame rate will lead to mosaic and video playback won't go smooth as before. Keep the above requirements in mind, you can now choose the reliable video resizer software for YouTube to fulfill the task. 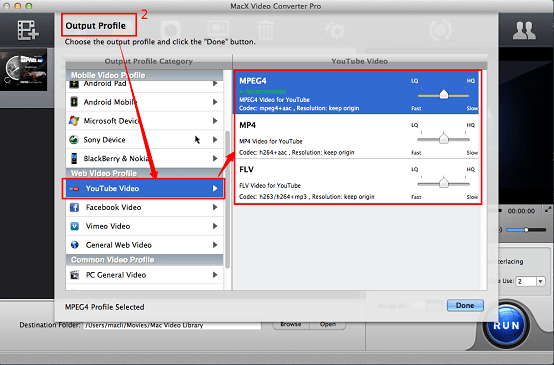 MacX Video Converter Pro is your ultimate choice as it can compress any video for YouTube upload, not matter it is shot by iPhone, DJi, GoPro, recorded by Sony/Canon camcorder. It can convert 4K/HD video to YouTube accepted MP4 H.264, FLV or WebM with much-smaller file size. Certainly, No.1 fast speed and intact quality are guaranteed due to the advanced High Quality Engine, and Intel QSV, NVidia CUDA/NVENC, AMD hardware accelerations. Paired with various useful video editing features like cutting unwanted parts, cropping out the black bars, etc, it helps users to further shrink video for email or uploading to Facebook, Vimeo, Dailymotion, other webs or playback on iPhone iPad Android devices. Just follow the tutorial below to learn how to compress video files that YouTube uploads fast. Step 1: Free download the YouTube video compressor on PC (Windows 10 included) or the Mac version of YouTube video resizer. Launch this tool. Hit the "Add File" button to load the video. Step 2: Choose the output format or adjust the settings for your video. Option 1: There are 3 profiles for YouTube - MP4, FLV, MPEG4. Among the video formats supported by YouTube, you are suggested to choose MP4 as the output format. Option 2: If you want to further reduce YouTube MP4 video file size, you can adjust the video/audio settings like resolution, frame rate, bit rate and codec according to the recommendation mentioned above. Option 3: To shrink videos for YouTube upload in even much smaller size, you can also cut the unwanted parts of the video and crop the blacks bars on both sides of the video. Just split the video to shorter pieces with the "Edit" functions. Step 3: Click the "Browse" button to set the destination folder to save the output file. Step 4: After you check all the settings, click "RUN" button to start to reduce video files without losing quality. The whole process will be fast! HandBrake. A regular in video reduction, including shrinking video for YouTube on Mac, Linux and Windows platforms. 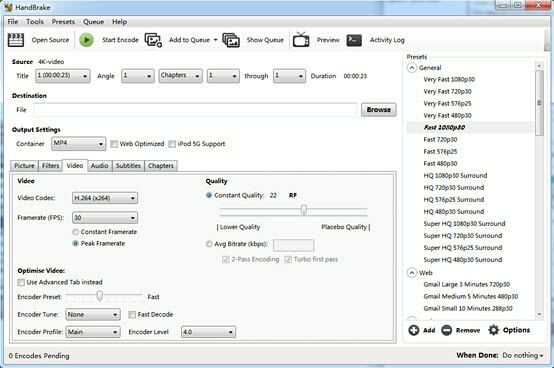 Follow the step-by-step guide for using Handbrake to downsize HD 1080P video for YouTube. 1. Download and open the free video compressor. Click Source to load the video you want to shrink for YouTube. 2. Click Browse to select where you want to save the video. 3. Choose the format, codec (H.264 recommended) for the file. 4. Choose the High Profile preset from the Presets Drawer (if this isn't open, you can open it from Window > Presets Drawer in the top menu bar). 5. Adjust the framerate, Average Bitrate on the interface. 6. Click the Picture Settings button and You can change the video frame size or resolution like resize 1080P to 720P. 7. Select the Audio tab and select AAC (ffmpeg) Codec. Choose the 48.000 Hz Samplerate. Choose Stereo for Mixdown. Choose 320 for your audio Bitrate. 8. Hit the Start button and wait for the YouTube video compression process. Windows Movie Maker: To compress video for YouTube upload, email or playback on mobiles, the free YouTube video resizer Windows Movie Maker is also readily available for PC users to make videos suitable for YouTube, OneDrive, Facebook, Vimeo, and Flickr. Note that Windows 10 is not paired with it however. 1. 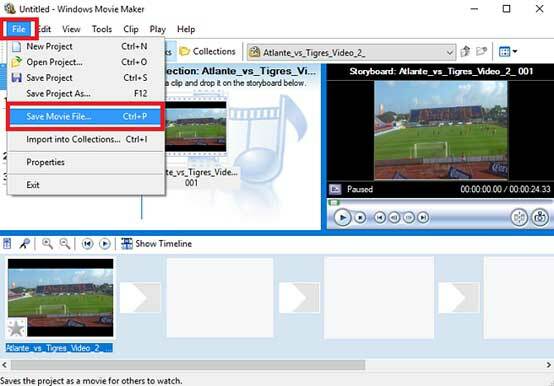 Open Windows Movie Maker, and click and drag the video file into the Windows Movie Maker window. 2. Adjust the video audio settings and do necessary editing. You can play the video to make sure the the video is compressed as you desire. 3. Click "File" and "Save Movie" and then click "YouTube" under the "Website Settings" category. Select the location to save your file and click "Save." Windows Movie Maker will downsize the video for YouTube together with the effects you have set. 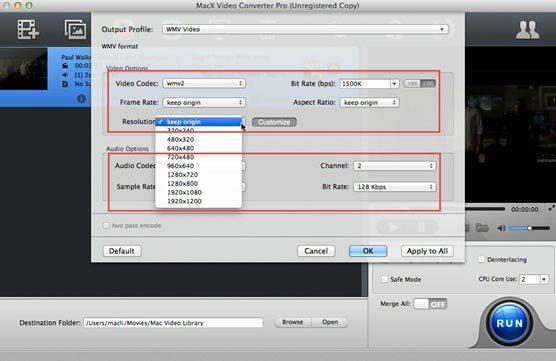 This tutorial explains how to format and upload HD video to YouTube on Mac. Before uploading HD video to YouTube, the video should be embedded in YouTube supported formats sourcing with 1280x720 high definition. A one-minute iPhone 4K video will consume 400Mb, which makes YouTube upload slow. Follow the guide to decrease iPhone video size for more storage and faster upload. Are you looking for a superb HD video reducer to shrink large video file size? Here's an easy-to-use yet effective HD video processing software, which is capable of downscaling 4K/1080P HD video to smaller size with great video audio quality reserved.